Making news this week, ASIC reveals a new broker review, an association calls for a valuations audit and the industry is urged to raise awareness. ASIC surprised the industry when it revealed at the FBAA conference last week that it would turn its focus to mortgage brokers in its review of interest-only lending. ASIC senior executive leader – deposit takers, credit & insurers Michael Saadat said the regulator would particularly focus on brokers' consideration of consumer requirements and objectives. This isn't the only review brokers will face. 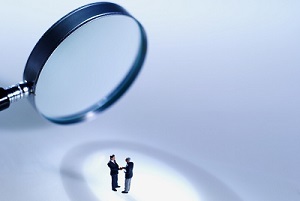 Saadat also confirmed ASIC's mooted review of broker remuneration. Some industry figures welcomed the review, with Mortgage Choice CEO John Flavell saying brokers had "nothing to hide". Flavell said the franchise brokerage supported transparency in commissions. With brokers under the spotlight, an industry association has called for scrutiny of another sector. FBAA CEO Peter White told the association's annual conference that the FBAA was calling for an audit of electronic valuations. White claimed electronic valuation platforms were outputting inaccuarate data. The statements follow his call last year for APRA to investigate and regulate the way valuations are calculated. Finally, new research has revealed the mortgage broking industry may have an awareness gap. A consumer survey conducted by NAB Broker and Genworth has highlighted some consumer misconceptions about mortgage brokers. In particular, 47% of consumers likely to use a broker expected to pay a fee. NAB Broker general manager Steve Kane said more needs to be done to promote consumer awareness, and urged industry associations to take a lead role in educating borrowers about the broker proposition. Sounds like a softening up story by the bank - 47%.